"Our acceptance of the final results will not be withdrawn or hesitated about," Sudanese President Omar al-Bashir said. (CNN) -- Sudanese President Omar al-Bashir says he will accept the results of a referendum this month that could see the country split in two. Al-Bashir said "peace is our ultimate goal" with southern Sudan, which could become an independent state after the January 9 vote. He called on the government in the south to provide a safe environment for the referendum. "The referendum process shall go on with God's blessings, with the trust of our commitment that we will renew at this moment," al-Bashir said, "and accepting the result that will come from the desire of the citizens and their choices." 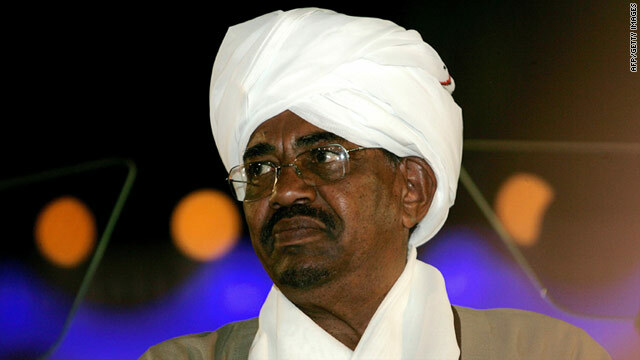 Al-Bashir made the comments in a speech Friday marking Sudan's 55th Independence Day. He also promised to negotiate what comes after the referendum. "Our acceptance of the final results will not be withdrawn or hesitated about," he said, "because the peace is our ultimate goal in our relationships with our southern brothers, even if they choose a path other than unity." The referendum is part of a 2005 peace agreement that ended two decades of violence between the north and oil-rich south. The conflict led to the deaths of 2 million people, many from starvation. The impending vote has sparked fears of renewed violence. Al-Bashir has been leader of Sudan since 1989. He is wanted by the International Criminal Court in The Hague, Netherlands, on allegations of war crimes and genocide in western Sudan's Darfur region, where violence that erupted in 2003 has left at least 300,000 people dead.